The door anchor that comes with Tension Toner is made from a high quality composite material. 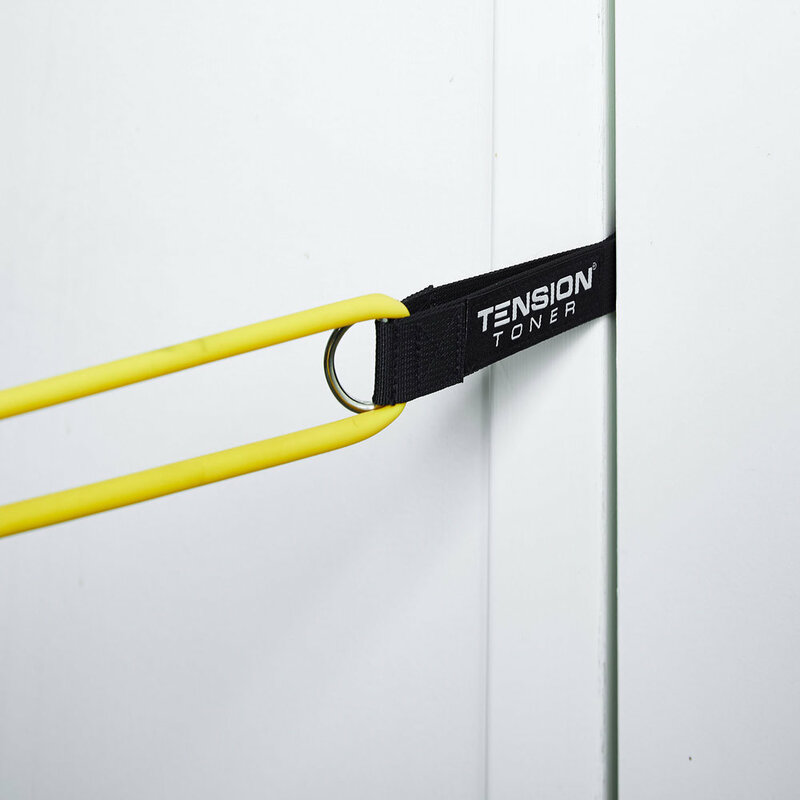 Unlike its foam counterpart, this door anchor is made to withstand daily use. It also has a d-ring at the end, which allows you to do many unilateral exercises. Setting up the door anchor is super easy. Simply put the circular end-piece over the edge of the door and close the door. You can move the door anchor to any point of the door. We'll show you all these exercises in our T10 Workout Program.